Dungeonmasters everywhere, here’s some cool new dice you can add to your D&D collection. 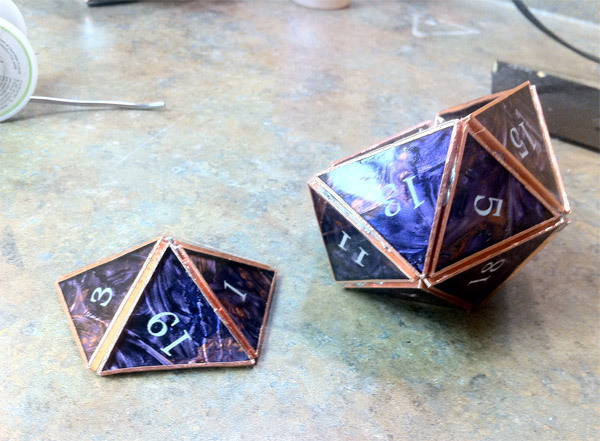 What we have here are a couple of d20 (20-sided dice) handmade from stained glass. 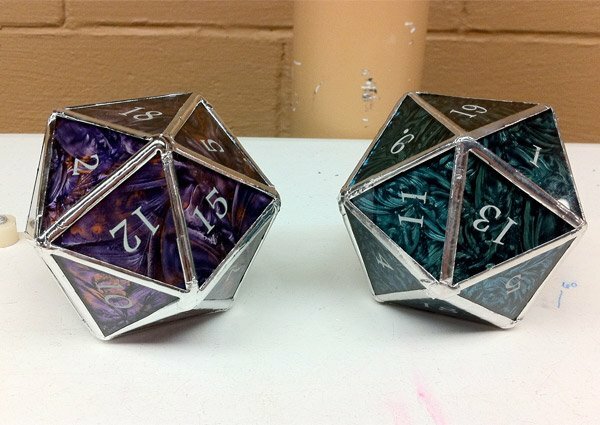 These awesome, oversize Dungeons & Dragons d20 dice were built by Casey Borders using traditional stained glass soldering techniques, combined with laser cutting, and computer-aided design software to create precise templates. It’s hard to tell exactly how large the finished glass dice are, but they’re clearly much larger than traditional dice. I’m thinking Price is Right Dice Game size, but I could be wrong. Given all of the labor that went into making these things, I wouldn’t feel comfortable rolling these dice, but Casey says you can roll them on carpet or other soft surfaces if you want. Surprisingly, these aren’t the first stained glass D20s out there. 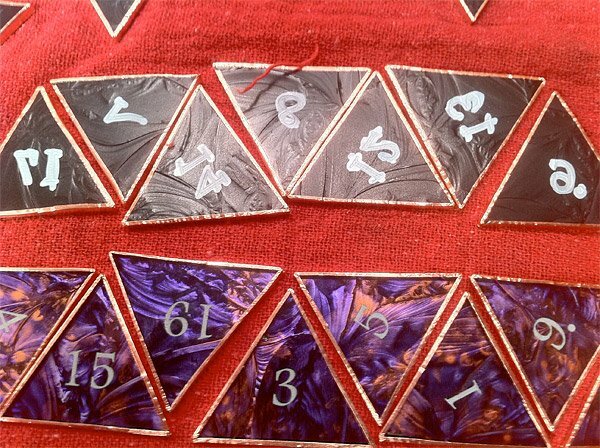 If you like these, you also might want to check out these other stained glass D&D dice by Bloodthirsty Vegetarians, which actually use solder for the numbers – though I can’t imagine they would roll as accurately with varying weight on each face. If you’ve got sufficient dexterity and craft skill points (and the proper tools), you can build your own stained glass D20 dice. Just head over to Instructables for the full build instructions.